The Galleria is a hot destination in Houston. More than 26 million visitors yearly grace the 2.4 million square foot mall, with its 400 fines stores and restaurants, two high-rise hotels and three office towers that make it the city’s top tourist and retail destination. With banks, swimming pools, ice rinks, children’s entertainment areas, salons, tailors, and even a post office, the shopping center is a mini-city. Modeled after Milan’s revered Galleria Vittorio Emanuele, The Galleria is “internationally respected for its architectural panache” and its mixed-use urban environment. Not surprisingly, retail spaces here feel pressure to be memorable. 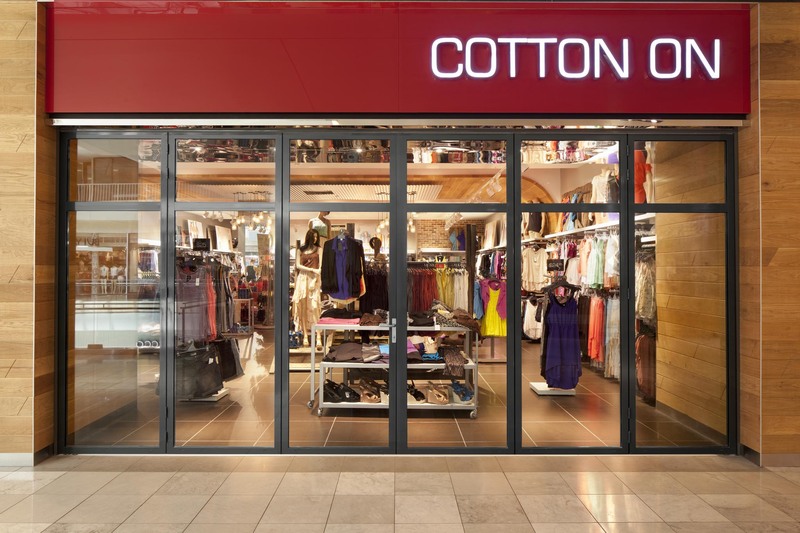 With the application of a NanaWall, Cotton On provides an example of how to transform a limited opening into a remarkable entrance. 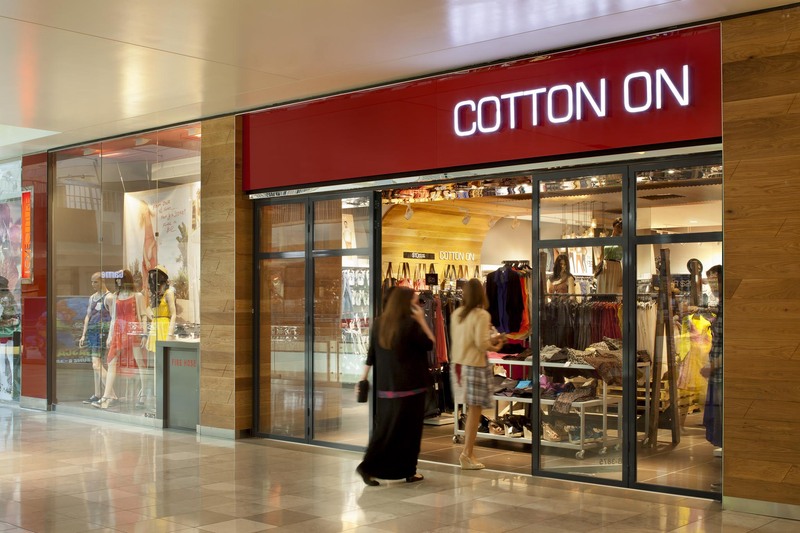 The Cotton On Group is a retail powerhouse that has been expanding its brand since opening its flagship store in Geelong, Australia. 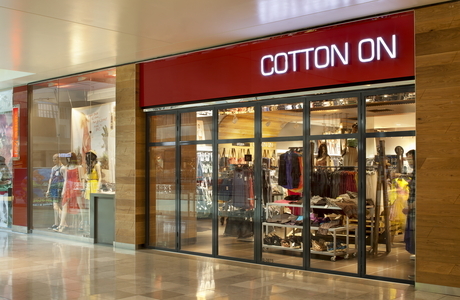 Like The Galleria, Cotton On has become a fashion destination for all types of clothing, footwear, stationary and gifts. 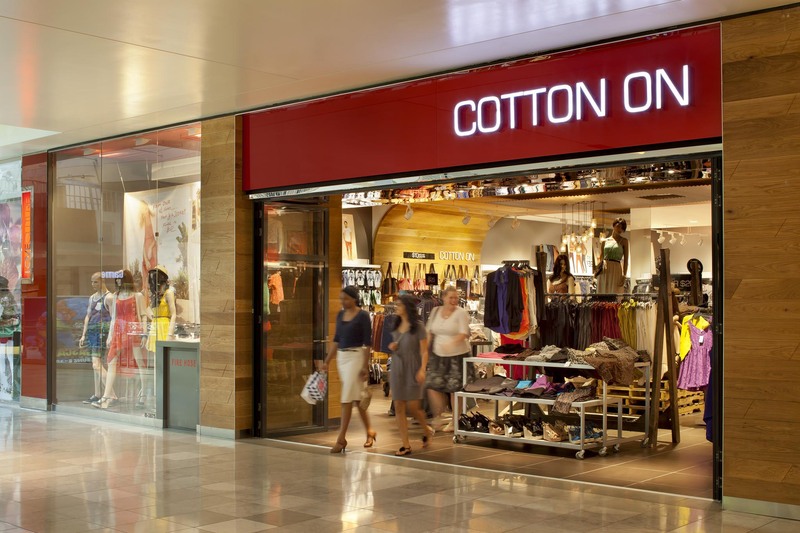 Since 1991, Cotton On has been renowned for its winning combination of globally relevant fashion for men, women and children at affordable prices, and staying relevant requires a retail space that is exciting and innovative. The NanaWall SL45 system accomplishes this. Because of the seamless opening customers scan the displays with a glance and then stream in without jostling a stranger. 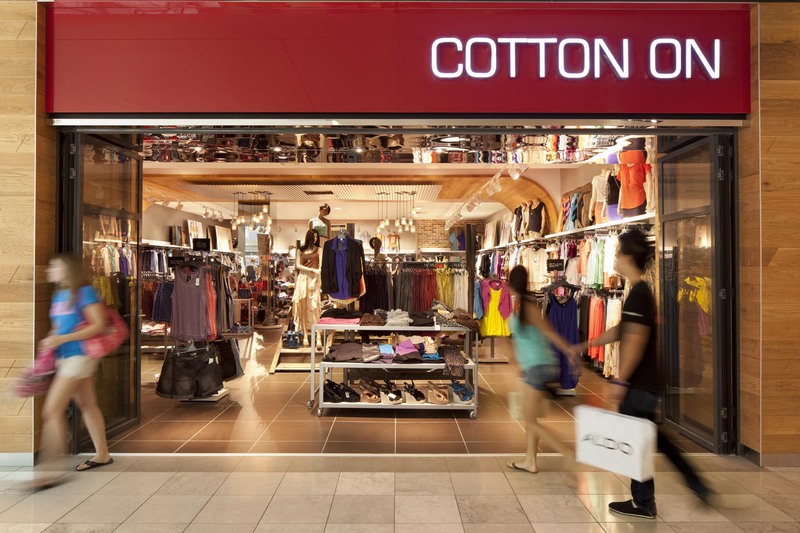 Looking at the stores around Cotton On, it is obvious that traditional design—fixed windows and narrow openings—hampers their visual appeal. 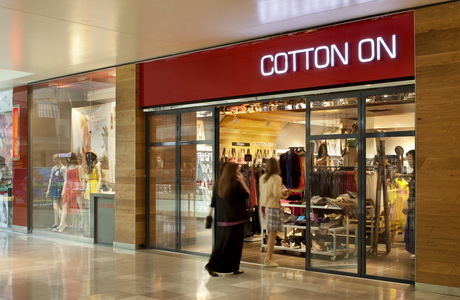 Cotton On, on the other hand, has an opening that is broad, translucent and variable. The NanaWalls provide other benefits. 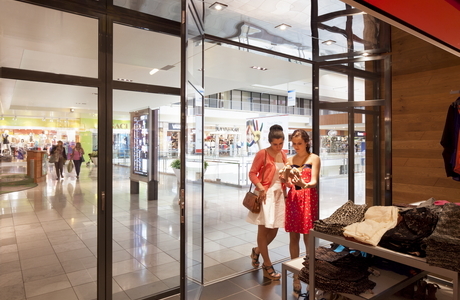 The sealed and secure façade, for example, protects the store from dust, debris and intruders. The glass walls have a long life cycle and if ever Cotton On moves, the space will remain an attractive location to a future retailer. 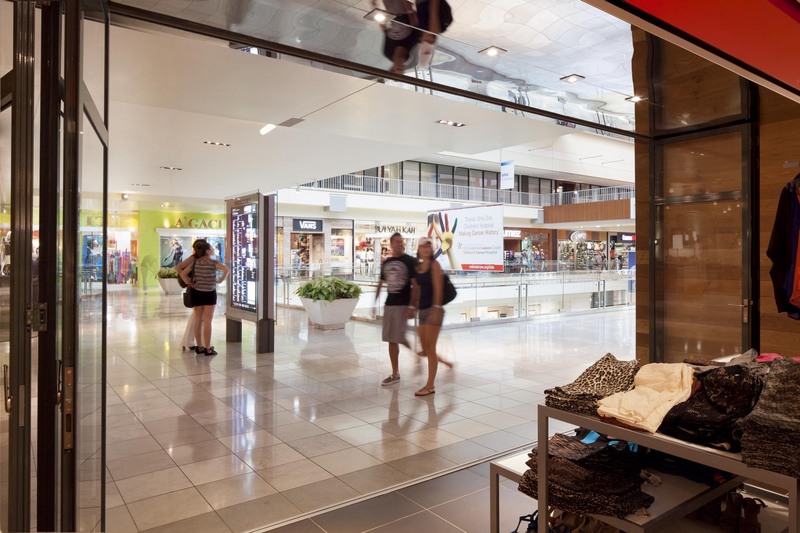 The Galleria is such a hot locale, and using an open or closed NanaWall, bonds Cotton On with the mall’s infectious energy. 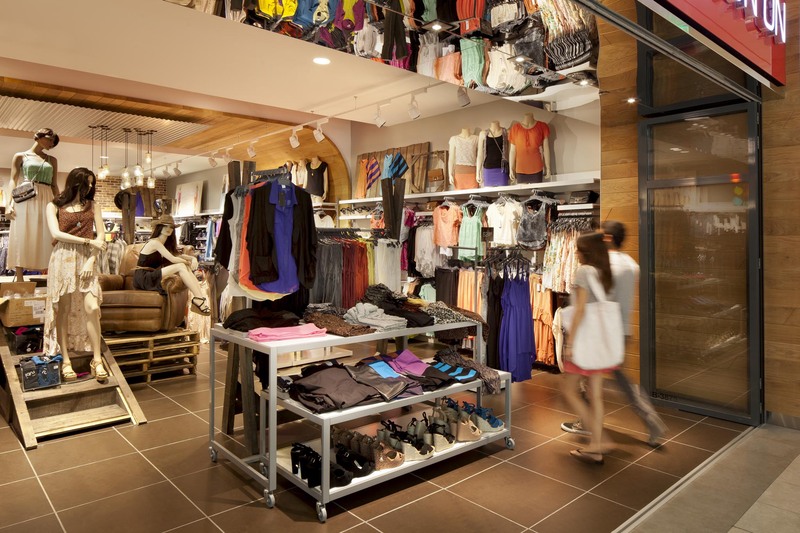 Indeed, the glass wall system engages customers by making the space look atypical. Because of the seamless opening customers scan the displays with a glance and then stream in without jostling a stranger. Just as important, it allows the interior space to be organized in novel ways. For example, it increases the display areas—extremely important for a company that has so many different kinds of products. 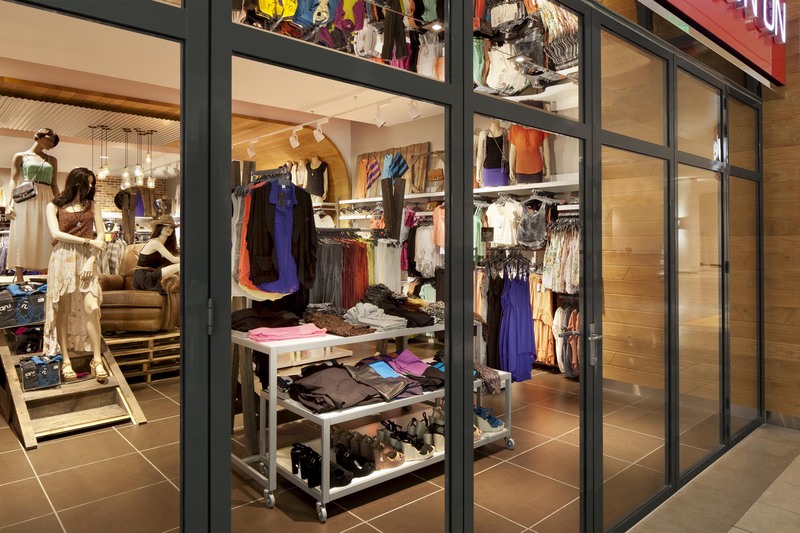 The SL45 comes in custom options; architects can unify their designs with the operable glass walls. Cotton On, for example, chose a system that draws attention to its displays. 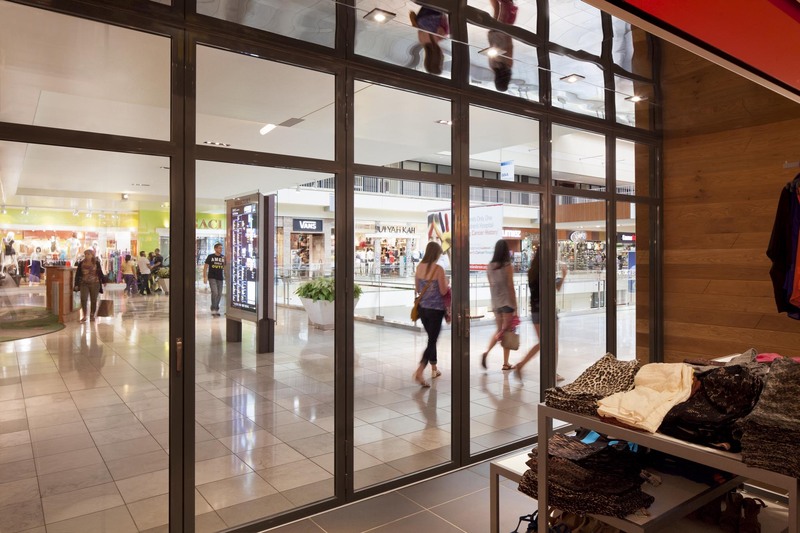 Specifically, the glass is intersected with transom mullions, which shift attention down into the store, and the anodized frames pop against the teak entry. This same wood can be found on the arched ceiling, which again directs our attention down to the displays. Finally, the mirror above the entrance also repeats these dynamics. The interior imagery becomes a shimmering beacon. 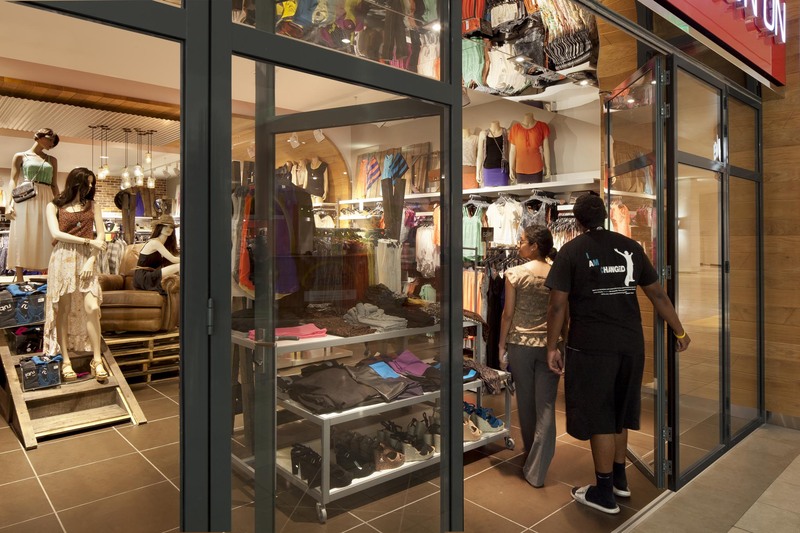 This floor to ceiling SL45 system uses an interior installation; the doors fold and stack into the store. There is also an option for single panel entry, important during off-hours or when the store is understaffed. While the store shares tile that was laid in a similar pattern as the outside space, Cotton On wisely used a brown color, which like the application of the NanaWall, separates but also joins the store to The Galleria. Mall retails spaces commonly lack windows; consequently, the stores can become gloomy. 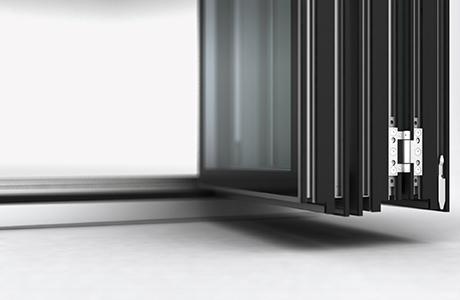 The SL45 system, with its thin frames and limited fenestration, opens Cotton On to the gallery. The daylight that streams from its skylights enters into the store, further adding to the allure to this impressive space.